When it comes to staying on top of the latest technology, it can prove to be a bit confusing. You need someone who will work with you to ensure you are getting exactly what your business needs and can afford. That’s where RTG can come in. Allow us to do the research for you and provide the best IT solutions for your specific business needs. After all, not all businesses are the same, nor are their IT requirements. Whether you’re in Victoria, South Australia, Tasmania, New South Wales, or elsewhere in Australia, our consulting solutions can help. Our consulting services range from strategic to the hands-on, enabling you to align the capabilities of your technology with the needs of your business. We are proud to say that at RTG we are backed by a proud history of excellence. We are a business founded on streamlined simplicity; enabling our clients to focus on what is important to them. Established in 1985 and Australian-owned, RTG is an independent provider of comprehensive services, solutions and products. Simply put, at RTG our clients come above everything else. We continue to build solid, long-term relationships with our clients by providing the services, products, consulting and advice that makes us their partner of choice. We go above and beyond every time, and work hard to ensure our clients are completely satisfied with the services rendered. So whether you are a not for profit business, a secondary school, a provider of aged care facilities or a medium size business, talk to us today. Here at RTG we employ a diverse team of individuals with an array of different skills and backgrounds. We pride ourselves on our diversity and our ability to work collaboratively to offer our clients the very best service. We have a team of 100+ people that are highly experienced in ICT including those who have held roles such as School Principal, Business Manager and Directors of eLearning and ICT. As the founder, and Executive Chairman RTG, Nigel Thomson serves as the cornerstone for our thriving operations. Committed to providing clients with unparalleled service and an array of solutions tailored to their needs, Nigel has been fundamental in shaping RTG into the company it is today. Nigel’s innovative approach to IT Strategy, Business Strategy and Cloud computing ensured businesses received reliable solutions aligned to their needs. 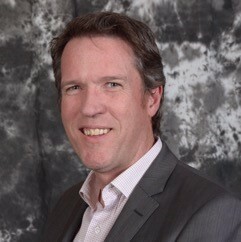 Prior to his 30 years at RTG, Nigel was a Partner at Deloitte Australia. 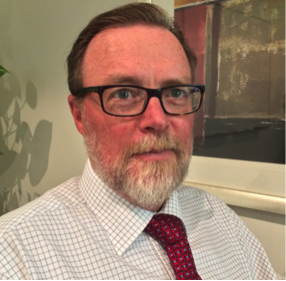 Dean replaced Nigel Thomson as CEO of RTG in July 2014, following two years as RTG’s Chief Operating Officer. Dean has furthered Nigel’s vision to provide clients businesses with the necessary tools and services to optimise the way they operate. Prior to RTG, Dean spent five years at Mount Scopus Memorial College as Head of Operating Services. His experience also includes seven years of project management and estimating at a McDonald Bailey, a commercial building company, and 7 years in relationship management at ANZ Institutional Banking. If you would like to speak with one of our professionals regarding your particular business needs, then feel free to get in touch. If you would like to learn more about any of our particular services, whether for education, aged care or another industry, please click on the provided links.